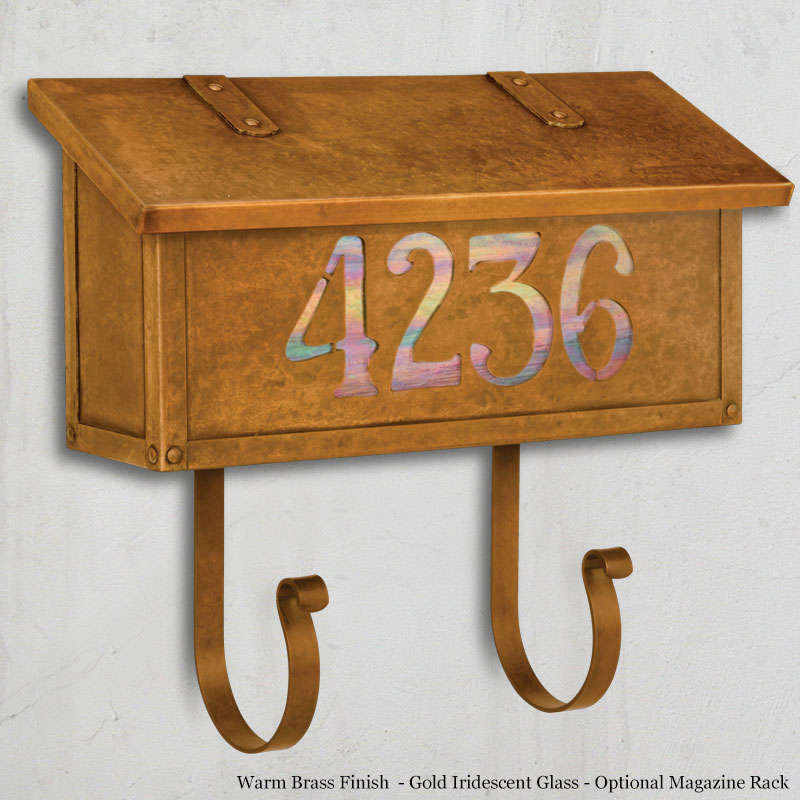 Classic Numbers Horizontal Wall Mailbox shown with Optional Magazine Rack. A simple Classic Design Horizontal Wall Mount Mailbox shown in Warm Brass - with up to 4 House Numbers is cutout of the design and a piece of art glass in Gold Iridescent Glass is behind it to highlight it. Our Classic Numbers Horizontal Wall Mount Mailbox is handmade of solid brass and has a traditional hinge detail on the lid and a rubber bumper inside to eliminate any noise when closing. The corner rivets complete the design and give this mailbox it's rugged handcrafted look. Easy to mount and a wonderful addition to your front entry this "Classic Numbers" mailbox design will be a delight for years to come.